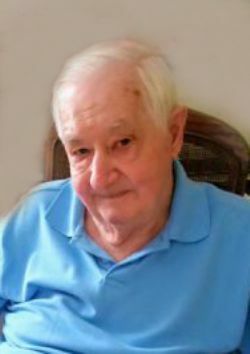 John went to be with the Lord on February 5, 2019. He was born to parents Edward H. and Edna G. (Rushlow) Fiarkoski in Northfield, Vermont. John served and retired from the United States Air Force as a Master Sargent, where he served for over 20 years. He loved the RV lifestyle, outdoor activities such as golf, fishing, and gardening. John will be greatly missed by all who knew him, but his memory will live forever in our hearts. He was preceded in death by his parents Edward Henry and Edna Gladys Fiarkoski; brother Edward Henry Fiarkoski. Left to cherish his memory is his wife of over 60 years, Marietta Fiarkoski; sons John (Beth) Fiarkoski and Paul (Wendi) Fiarkoski; daughters Donna Fiarkoski, Karen Johnson and Amy (Randy) Kendall; nine grandchildren; six great grandchildren; siblings Joseph (Carol) Fiarkoski and Lena (Bill) Mueller; brother-in-law Jerry (Judy) Shaffer; and numerous nieces and nephews.